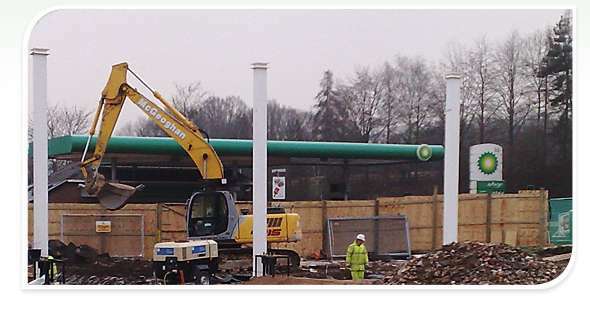 Petrol Station Forecourts, Supermarkets, Local Authority, Hospitals, Surgeries, Care Homes, Schools, Colleges, Training Establishments, Hotels, Leisure Centres, Residential Developments, Sports Centres, Industrial Complexes, Retail Parks, Public Parks and Corporate Offices. 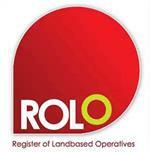 We have completed a large number of landscaping contracts for major UK clients. 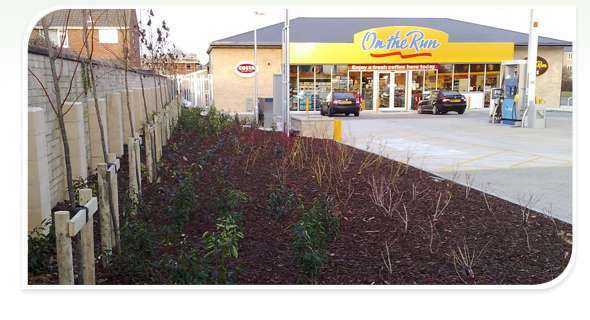 If you need exceptionally high quality landscaping, delivered on time and within budget, then P J Landscaping is the commercial landscape specialist for you. We are perfectionists. 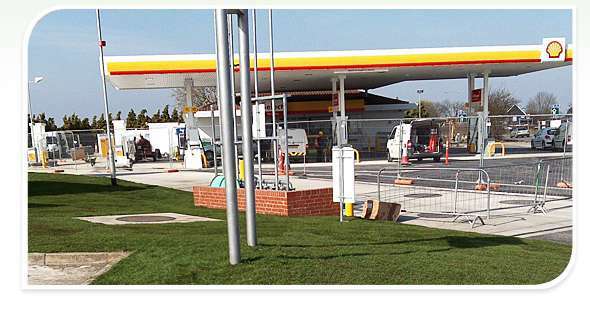 We know the pressures contractors face, so when they ask us to landscape a development like a supermarket or a petrol station forecourt, we always provide the highest standard of service and attention to detail, even if we have only a day or two in which to complete the project. P J Landscaping continues to deliver projects on time, often at very short notice, to a high standard of workmanship. With an extremely professional, diligent and efficient work force, they remain an important member of our supply chain; highly recommended. 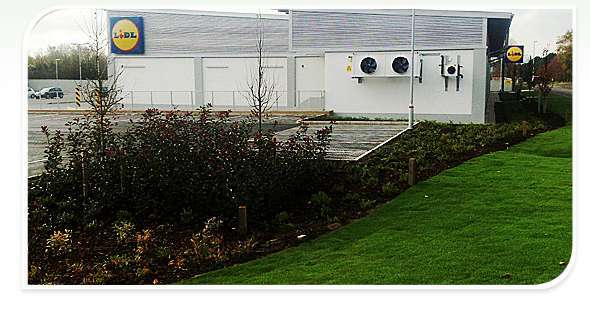 Although we are based in Weyhill near Andover, Hampshire, we provide commercial landscaping services throughout the UK. 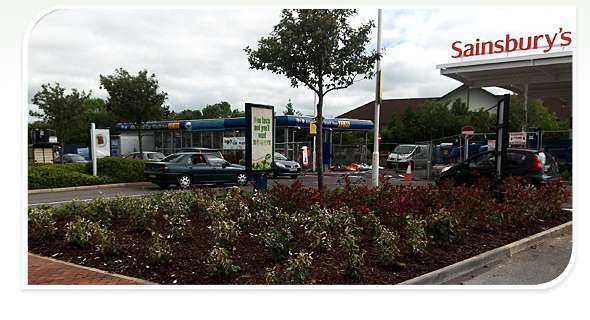 Please see our Commercial Landscaping page for more details or click here to get in touch. We also undertake a small number of garden landscaping projects for private clients in and around the Andover area. Please see our Garden Landscaping page to find out more.